then tour Tanzania’s fabled game parks. 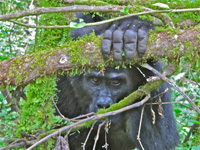 This is your one-stop shop for a reputable, experienced, comprehensive Tanzania experience. Sunrise on Margherita Peak, the highest summit of Mount Stanley Climb Uganda’s highest peak, storied 16,762-foot Mount Stanley in the history-laden Mountains of the Moon where the search for the headwaters of the Nile ended. 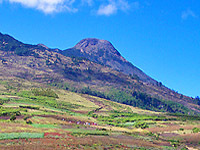 Mount Stanley is Africa’s third highest major peak and the Rwenzori’s highest peak. The southern flank of mighty Mount Ararat, Turkey’s highest peak Climb Turkey’s highest peak, legendary Mount Ararat and explore the cultural splendors of Istanbul and Anatolia including Noah’s Ark National Park. 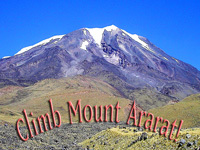 Traveling to and climbing Mount Ararat is more than a journey, it is a charged cultural and physical pilgrimage that will generate lifelong memories. Gerry started his international traveling career in 1950 at the age of 7 when he moved to Paris for a year with his family. In that year he traveled extensively across western Europe and tracked down long lost relatives in Norway. After moving to Boulder Colorado in 1954, Gerry started climbing rocks and mountains and flew a plane before he drove a car. After graduating from the University of Washington in 1964 with a degree in math, Gerry served as a teacher in the Peace Corps in Bhubaneshwar, India not long after the Peace Corps was formed. In more than 60 years of travel and mountaineering, Gerry has explored and lived in dozens of countries and been on more than 30 major expeditions. In addition to pursuing a career as a computer scientist, he found time to run a university outdoor program and teach Outward Bound in Colorado and Alaska. After climbing Mount Everest in 1983, Gerry went on to become the second person to climb the highest peak on each of the 7 continents in 1985. In 2003, Gerry became the first person to climb every major peak over 16,000 feet in North America. Gerry received the Sierra Club’s coveted Farquhar lifetime achievement award for mountaineering in 2005 and the Colorado Mountain Club’s rare Ellingwood Golden Ice Ax Award in 2006. A graduate of Northern Michigan University, multifaceted Stan Havlick is an Eagle Scout, an inductee in the Colorado Special Olympics Hall of Fame, the founder and past director of the Eldorado Springs Cure Benefit Run, the co-founder and past president of the Colorado Cancer Foundation, a board member of the Griffith Center, a residential treatment center for troubled youth, and the winner of the 1991 President’s Club Award for the Greater Denver Chamber of Commerce. Stan spent over 10 years with the American Express Company, which included living in Europe and Asia and traveling in dozens of countries during a decade of education and experience. Pursuing another career as an athlete and adventurer, Stan became the first person to bicycle across 6 continents in 2006 when he completed a 14-year quest to cycle nearly 20,000 miles coast-to-coast across all of earth’s 6 bike-able continents. Stan’s other passion is climbing; he is a ski instructor, triathlete and mountaineer. He has climbed in the Himalayas, Karakorum, on Denali in Alaska, the Matterhorn in Switzerland, Africa’s Kilimanjaro, Mount Elbrus in Russia, Aconcagua in Argentina, and all of Colorado’s 14,000-foot peaks. Stan’s lifetime of service, extraordinary adventures and unique cultural experiences give him a superlative world view that he is eager to share. The mountains are always there; what makes a trip memorable are the people you go with. Stan and Gerry turn an ordinary journey into a timeless adventure. In 2004 I participated in a trip organized by Stan Havlick to climb Mount Kilimanjaro and see the great national parks of Tanzania. It was one of	the most memorable trips I’ve ever been on, and I have had many great expeditions around the world. From arrival to departure in Africa, everything went like clockwork. 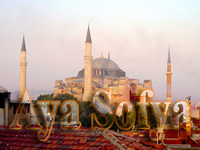 The local people we worked with, the hotels, transfers, and guides, were all first rate and well worth the cost. The memories from the climb and the safaris are ones I will always treasure. 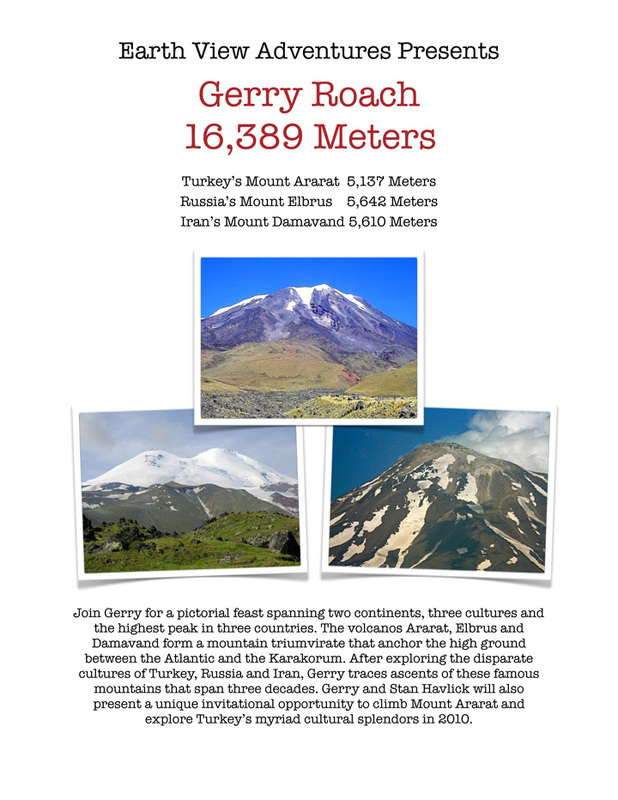 Having climbed with Gerry Roach several times and experienced his great mountain passion, I am sure he will bring that same enthusiasm to anyone fortunate enough to climb with him. 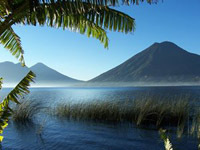 Together, I am confident Stan and Gerry will provide their clients the trip of a lifetime. 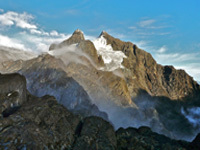 Join Gerry Roach and Stan Havlick for a unique presentation of images and discussion about three disparate cultures best connected by their highest peaks. Visit Russia’s Moscow and Europe’s highest peak, Mount Elbrus, Iran’s Tehran and the Middle East’s highest peak Mount Damavand, and Turkey’s Istanbul and Anatolia’s highest peak, the legendary Mount Ararat. Copyright © 2009-2019 by Gerry Roach and Stan Havlick. All Rights Reserved.